With financial support from Nuffic, the Dutch organization for internationalization in education, HollandDoor supported Yezin Agricultural University (YAU) in Myanmar to modernize its training and teaching methods as well as creating closer linkages with the agribusiness sector in the country. 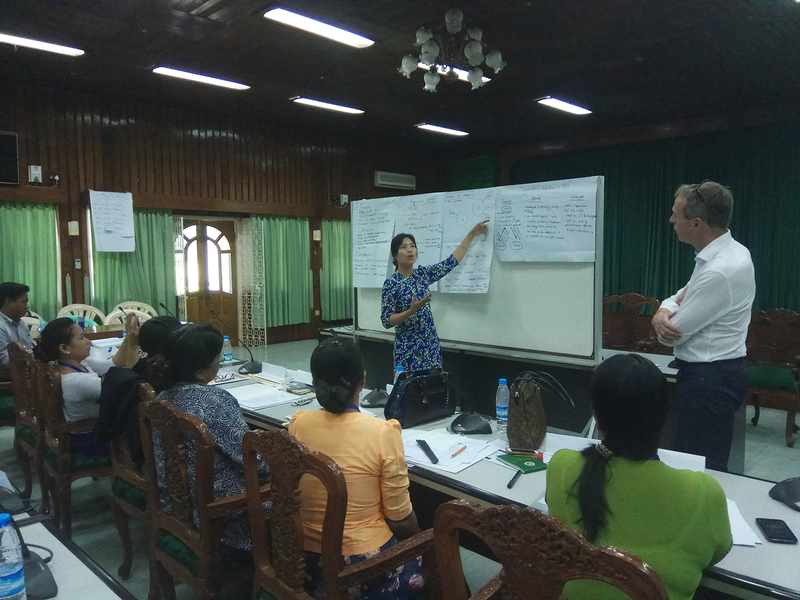 HollandDoor, together with Fresh Studio Myanmar, conducted two trainings in Yezin in October 2017 and Februari 2018. In the two training weeks 16 teaching and research staff of YAU participated, representing various departments in this leading agricultural university of Myanmar. The focus of the first training week in October 2017 was to get the trainees acquainted with activating teaching methods, thereby realizing more effective and more relevant competency development of the YAU students. During the second training week in February 2018, the focus was on quantitative research methodologies and closing the gap between university research and the needs in the agribusiness sector. The trainings were highly appreciated by the YAU teachers. One of the participants: "I learned a lot about teaching competencies and I will keep challenging myself to use the acquired knowledge and skills in practice during my daily teaching tasks." Another trainee addressed the relationship between the Netherlands and Myanmar, being eager to seek student and staff exchange and developing joint business in agriculture and horticulture.